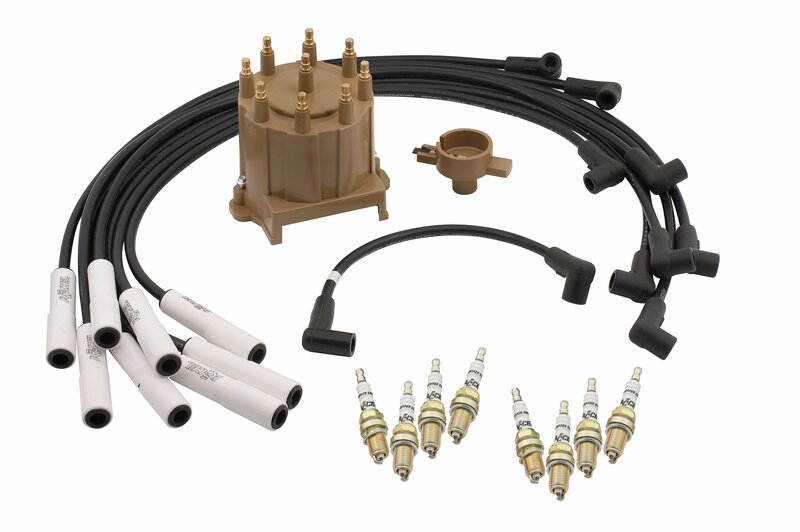 Tune up kit for 1990-95 GM Truck and Van with 7.4L V8 Throttle Body Injection Engine. Also fits 1990-91 GM Truck with 454SS Thottle Body Injected Engines. The ACCEL 8132 distributor cap and rotor kit fits HEI style distributors.